Ethanol is a renewable fuel made from starch- and sugar-based feedstocks or from cellulosic feedstocks. 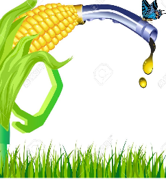 In U.S.A. corn is the most common feedstock used to produce ethanol. According to the US department of Energy nearly 97% of U.S. gasoline contains ethanol, typically E10 (10% ethanol, 90% gasoline), to oxygenate the fuel and reduce air pollution. Eliminates costly consumables such as solvents, columns, and reagents. 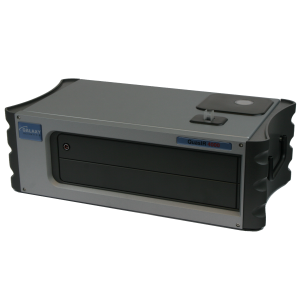 Provides extremely fast results: generally less than 10 seconds measurement time per sample. Allows simultaneous analysis of multiple components per sample. Effectively eliminates sample preparation time. Eliminates many sources of systematic errors. 1) Monitoring the quality of incoming grain. Moisture, starch, protein and oil content of corn can be easily measured, ensuring payment is for starch instead of moisture. 2) Fermentation process monitoring. NIR diffuse reflectance spectra of mash samples can be acquired in less than 10 seconds, which provides real time monitoring of fermentation parameters, such as ethanol, sugar contents, lactic acid and glycerol, for the optimization of fermentation efficiency. NIR spectroscopy has also been proved to be a useful tool for troubleshooting the fermentation process and for the rapid and accurate evaluation of the performance of new enzymes, yeasts and nutritional supplements. 4) Dry house operations. Distiller’s dry grains (DDGS), the most valuable by-product of fuel ethanol plant, can be analyzed for protein, moisture, fat, fiber and ash content. Galaxy Scientific’s QuasIR™ 4000 is ideal for fuel ethanol plant off-line analysis. The large sampling area integrating sphere is excellent for inhomogeneous solid samples such as incoming corn and DDGS, or suspension samples such as corn mash, while the transmission sample compartment is ideal for liquids such as distillates. 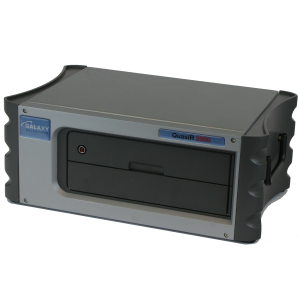 Galaxy Scientific also offers QuasIR™ 2000 for on-line, real time measurements.